The Adventuredome is an indoor theme park that's located near the Circus Circus hotel in Las Vegas, Nevada. Roller coasters, Ferris wheels, arcade games and mini golf courses are some of the attractions at this indoor playhouse. After a day of fun in this dome, you could enjoy premium dining, gambling and shopping at neighboring resorts on the Las Vegas Strip. Click to book your Las Vegas tours. The Adventuredome is located on the tip of the Las Vegas Strip. Las Vegas Boulevard and Industrial Road lead to this indoor theme park. Interstate 15 has exits that are located just a few blocks away from this attraction. After exiting the highway, you just need to merge onto Sahara Avenue and look for signs that point towards the dome. There are plenty of on-site parking spaces available in the outdoor lots that are accessible from Circus Circus Drive and Industrial Road. If you prefer to use public transportation, just board the DEUCE bus of the Regional Transportation Commission. This express bus stops on the northbound and southbound lanes of Las Vegas Boulevard. 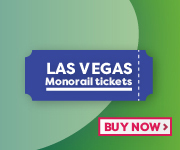 Additionally, the Las Vegas Monorail Westgate Station and SLS Station are located within walking distance of the theme park. Click here to visit Adventuredome official website.